May was a complete wash for me. 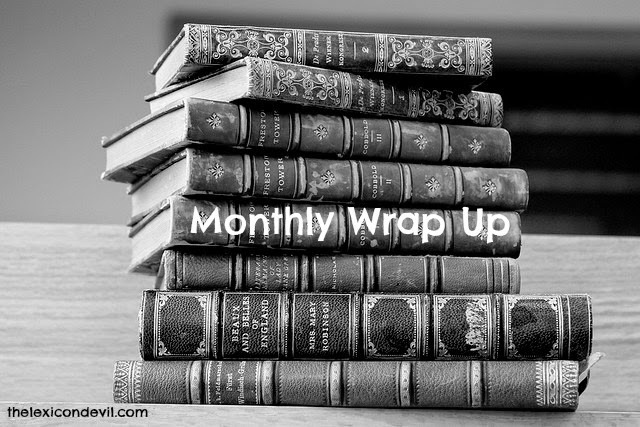 I only managed to complete one of the books on my May TBR and I didn't get nearly as much accomplished professionally or personally as I had hoped. Just as in April I was sick the entire month with an illness I am relatively certain is the hell spawn of Ebola and hay fever. All of my grand reading plans, all of my grand blogging plans were dashed on the rocks. Even between coughing jags, sleepless nights, and horrifically bloody sinuses, I managed to complete four books, three of which were graphic novels. The first book I finished in May was What I Talk About When I Talk About Running by Haruki Murakami, a book that I had started reading in April. Though I am not a runner myself, I enjoyed reading about Murakami's musing on getting older, goal setting, and routine. Since I am getting older myself, these reflections on the hobbies and practices that keep older folk centered and give them purpose are particularly meaningful to me. On the Good Reads scale, I gave this one 4/5 stars. I am sure the book isn't to everyone's taste, but I did find it to be a comforting, engaging read. That being said, I still prefer Murakami's fiction. Next I read Marbles: Mania, Depression, Michelangelo, and Me by Ellen Forney, a graphic memoir in which the cartoonist discusses her struggle to manage her bipolar disorder and her own research into the link between mental illness and art. What makes this memoir so interesting to me, as someone with mental illness, is that Forney doesn't glamourize or nobalize her mental illness; rather, Forney truthfully addresses the importance and challenges of treatment and the ultimate fallout from not managing your condition. I gave this book 4/5 stars for its honesty; humor; and for its engaging, organic pen and ink panels. 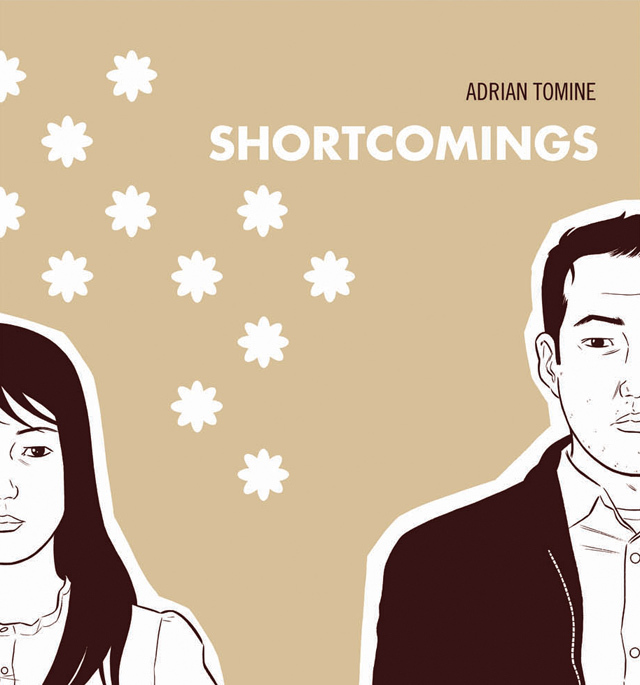 Next I read Shortcomings by Adrian Tomine, #9-11 in the Optic Nerve comic book series. The comics follow Ben Tanaka, a Japanese-American man who manages a movie theater in the Bay Area whose fantasies about young, Caucasian women drive a wedge between Ben and his girlfriend. When his girlfriend accepts an internship in New York, Ben finds himself drawn to a series of white women while seemingly still attached to his girlfriend. The graphic novel is an interesting look at the complications of modern love and racial identity/ idealization. I gave the comic 2/5 stars primarily because of Ben’s warped romantic ideals and misogynist attitudes. While I am usually able to bracket my feelings about a distasteful character in order to fully appreciate a quality narrative . . . the narrative didn’t have the depth to make bracketing practical or worthwhile. In retrospect, I’d give it a miss. The last book I completed in May was The Baby-Sitter’s Club: Kristy’s Great Idea (Baby-Sitter’s Club Graphic Novels #1) by Ann M. Martin [original novel] and Raina Telgemeier [graphic novelization]. I am planning on writing an essay about the graphic novelizations of The Baby-Sitter’s Club and nostalgia for the once beloved pre-tween series of novels. So, I am telling myself this one was research. I gave this one 3/5 stars on the Good Reads scale, partly because I really enjoy Raina Telgemeier’s work and partly because the book reminded me of one of the few corners of childhood I am happy to remember. Let's all hope that June is a healthier month!